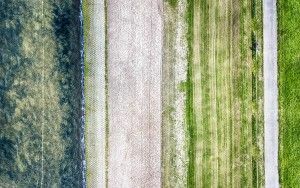 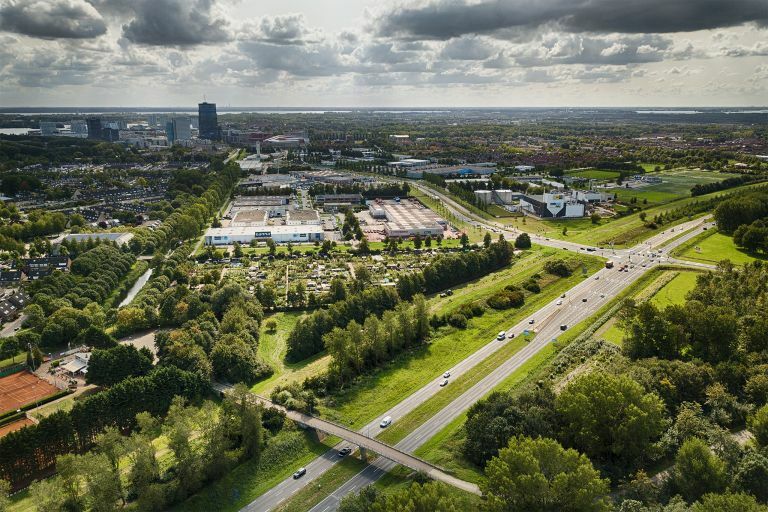 While flying my drone over a field at Noorderplaasen, I took this picture of de Hogering highway and the Markerkant industrial area nearby. 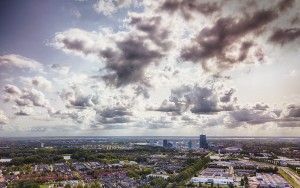 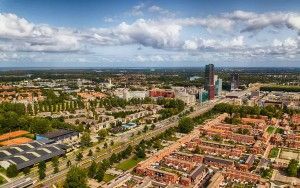 On the top left you can see the high-rise of Almere citry centre. 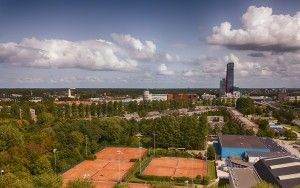 Drone rules are quite strict, you're for instance not allowed to fly near groups of buildings. 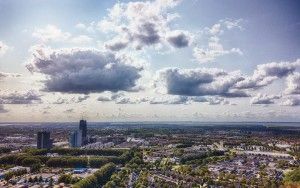 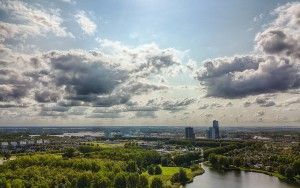 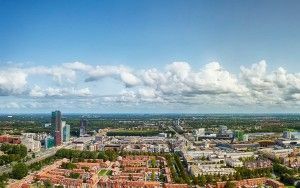 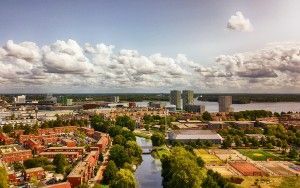 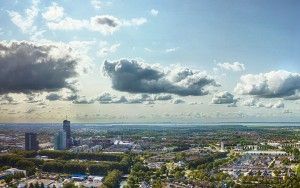 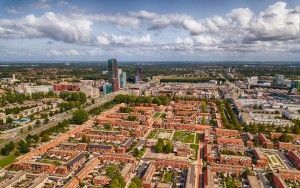 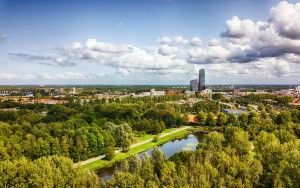 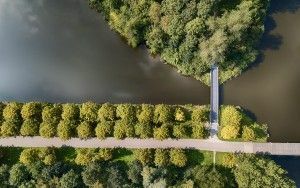 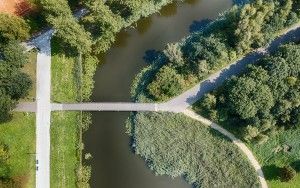 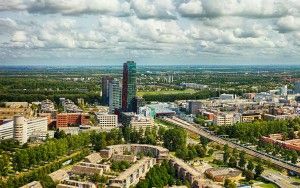 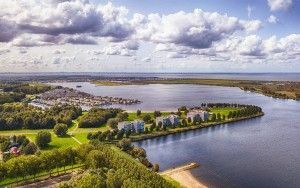 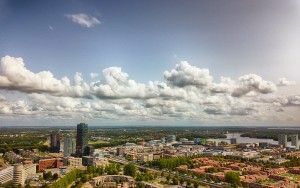 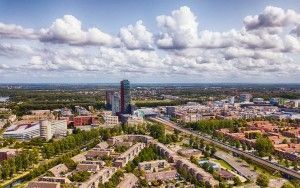 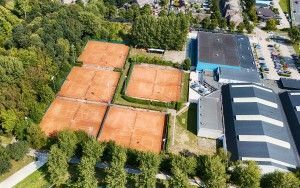 I wanted to photograph the city centre of Almere from my drone, but it's full of buildings, so I looked for nearby parks without a lot of people (another rule).